Comic relief. 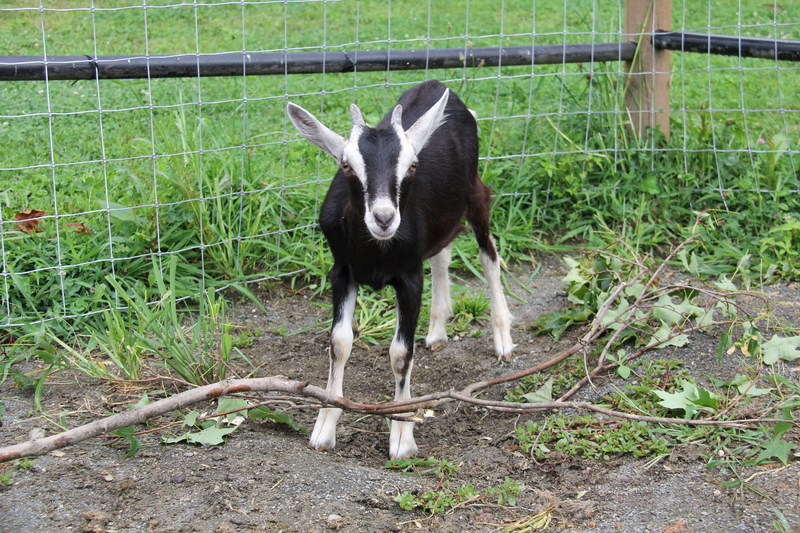 Goats are like the clowns of the farm circus. 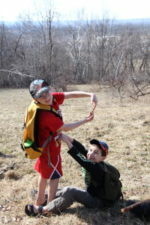 They have great personalities and perform all kinds of antics. The word cavort was made for young goats – watching them jump stiff-legged all around the place would make anyone smile. Nostalgia. When I was young, around first grade I think, my dad took me to a farm and we picked out 2 baby goats to bring home. They were mine to raise and care for. We named them Esmerelda and Hortense. I loved those goats. I played with them and led them around the neighborhood on leashes like they were dogs. One winter, half of our barn floor collapsed and the goats were trapped on the other side. For about a month I had to carry water and food up and down ladders until it was warm enough to keep the goats outside. In the spring we borrowed a billy-goat named Jeremiah and that summer each of my goats had a set of twins. 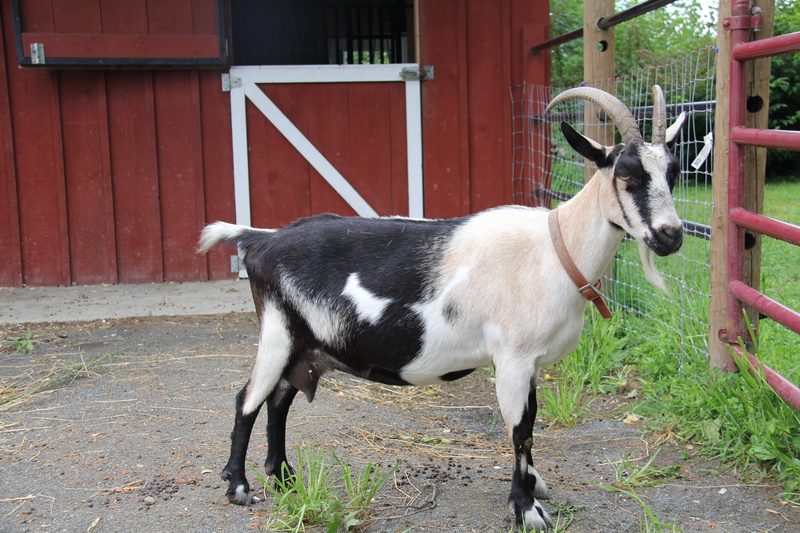 When I think about Esmerelda and Hortense I always smile and having goats now would remind me of that. Pasture management. 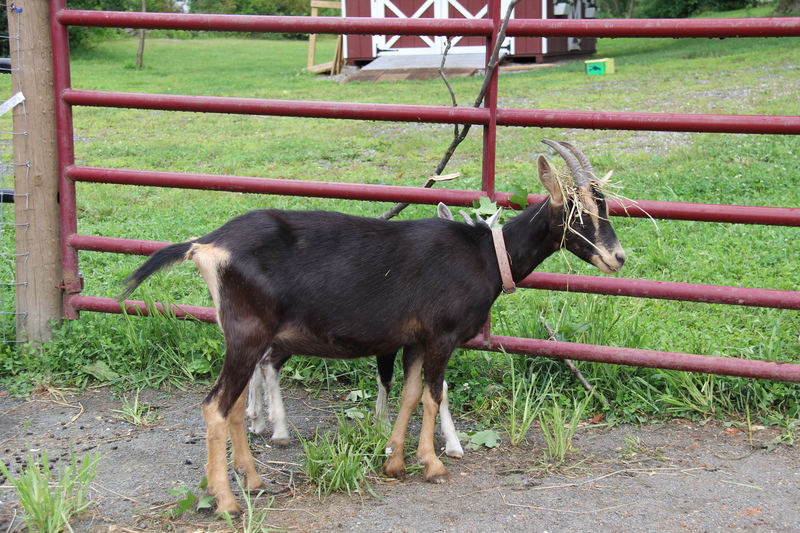 Did you know that you can rent goats to eat brush and even poison ivy in your yard? They will even eat discarded Christmas trees! 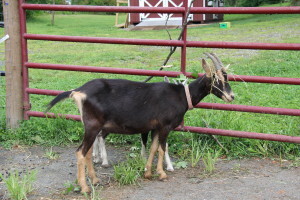 A friend told me via Facebook about how she rented goats to clear her yard. 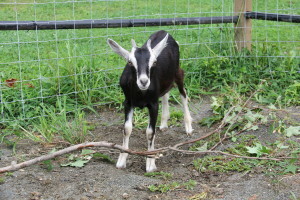 My mom also told me that in some places they use goats to clear the brush under the large telephone wires that stretch across unoccupied land. Who’d a known? I sure didn’t, but it sounds great to me! I need goats to help keep our pasture in check. It’s getting pretty wild out there. Companion for the horse. When a horse is kept alone, it tends to get in to mischief, which often leads to running around town chasing it down. When I had a single horse in my teens, we always kept a companion goat, and it seemed to keep the horse out of trouble. 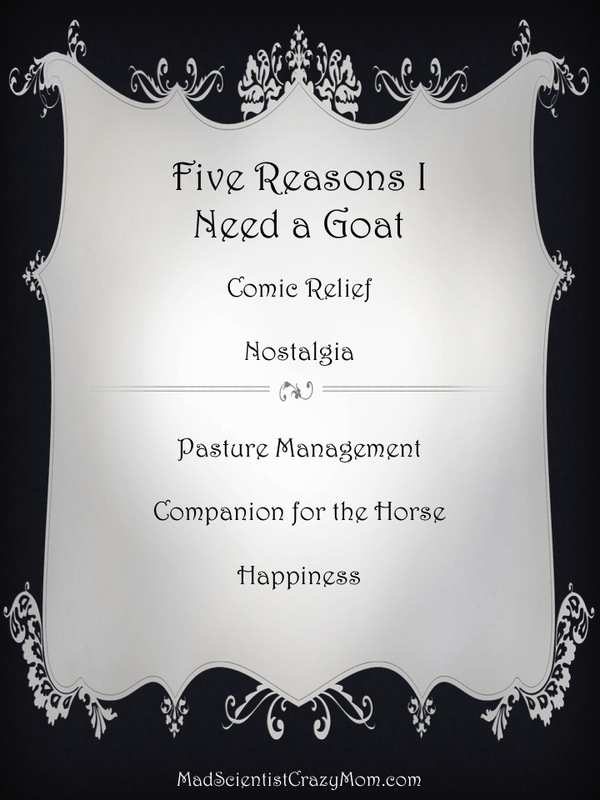 Now, we don’t have a horse, but I am sure there is one on the horizon, so it makes sense to me to make sure we have the goat.